In our previous article, we discussed what consensus algorithms are and highlighted two of the most common in the blockchain space. The different consensus algorithms represent different approaches as to how consensus in the blockchain space can be achieved. In this article, we will discuss Proof of burn and proof of importance as other different types of consensus algorithms. In this protocol, users are required to burn their coins in order to mine in PoB blockchains. The users send their coins to a verifiably un-spendable address or an eater address. Coins sent to this address are removed from circulation hence they cannot be spent. 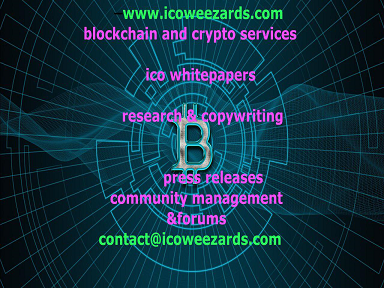 The process of verifying that coins have been sent to this address is straightforward since all transactions on a PoB protocol are recorded on the blockchain. An eater address is a valid Bitcoin address that is generated randomly, not from a precise private key. The address is unspendable because private keys cannot be retrieved by calculating backward from a Bitcoin address. Slimcoin and Counterparty are some protocols that use the proof of burn mechanism. In Slimcoin, PoB is used as a mining method and consensus algorithm. Counterparty uses PoB for seeding. Participants had to send BTC to an eater address in order to receive Counterparty tokens. Miners in a PoB blockchain send their coins to an eater address hence burning them. Once they are sent to the address or burned, they cannot be accessed or spent again. The miners are rewarded as a result of this action. PoB consensus algorithms believe that by a user burning their coins, they are demonstrating their willingness to suffer the short-term loss in exchange for a more long-term investment. Their reward comes over time through the proof of burn reward mechanism when mining because they earn a lifetime privilege to mine on the blockchain. The more coins a user burns, the greater their chance of mining in the next block. Coins burned in PoB do not need to be that of the native currency of that particular blockchain. Alternative currencies can also be given up in the eater address. In this algorithm, a user’s stake declines over time. Because of this, the user needs to burn more coins over time to maintain their odds of being selected for mining in the next block. 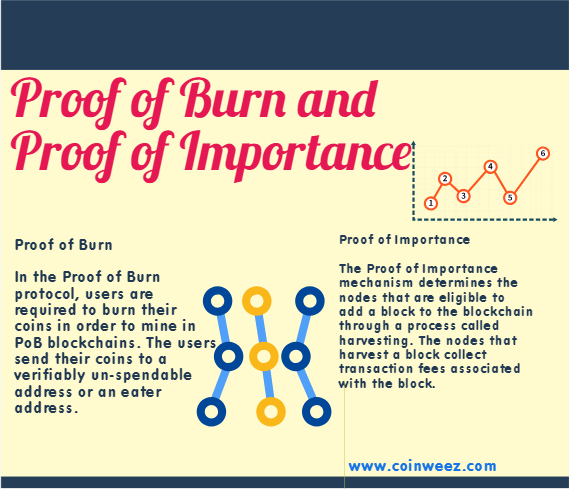 Proof of burn mechanisms reshapes the cost that users have to bear in order to mine in the blockchain. Instead of incurring huge financial costs in order to participate in PoW blockchains, miners in this protocol burn their coins to stand a chance of mining a block. This is a small investment when compared to the kind of hardware and electrical costs required in PoW consensus algorithms. PoB reduces issues of energy consumption and environmental damage in the blockchain space since little to no resources are consumed when coins are being burned. PoB consensus algorithms encourage long-term involvement in a project. This is because users who burn their coins will be committed in order to have more gains from mining. 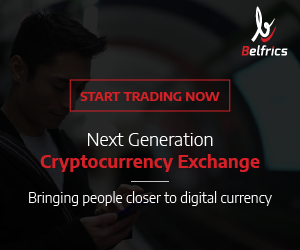 Consequently, a high percentage of long-term investors in a project might influence the price stability of these coins. PoB can be used to determine the distribution of cryptocurrencies through a fair a decentralized way. There is no guarantee that a user will get back the value of the burned coins hence it is very risky. There is a lot of wastage of resources. Mining power belongs to those who burn more coins. This is one of the consensus algorithms first introduced by NEM. This mechanism determines the nodes that are eligible to add a block to the blockchain through a process called harvesting. 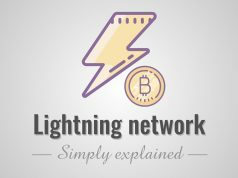 The nodes that harvest a block collect transaction fees associated with the block. The accounts that have a higher importance score have a higher probability of being chosen to harvest a block. 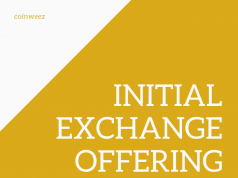 According to the NEM protocol, in order for accounts to be eligible for the importance calculation, they have to hold at least 10000 vested XEM so that they can be eligible for harvesting. Net transfers- the amount spent in the last 30 days. More recent transactions weigh more heavily. Transactions have a minimum size for them to be scored. Large and more frequent transactions will score higher in the proof of importance score. Vested amount of currency for purposes of block creation. The higher the number of vested coins, the higher the account score in the proof of importance. There is a requirement for a minimum of 10000 vested coins. Proof of importance takes into account a user’s support of the network. Users are encouraged to spend their coins and send them around the network instead of hoarding. This is contrary to PoS algorithm which is said to supporting hoarders to the tokens. 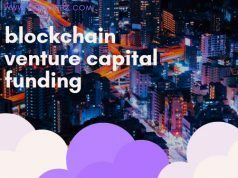 This consensus algorithm ensures that users passionate about the blockchain will keep funds locked. The NEM blockchain allows people to view and determine a rating for the importance of the accounts on their network.